Come to San Francisco and you will get used to the erratic weather, daily uphill hikes and expensive rent. Dig into organic burritos, take your dog out for a run and live the healthy lifestyle like a local. Expats will also feel inspired by its booming technology and arts scene. Its hilly terrain covers a vast expanse of 46.7 square miles towards the north of the San Francisco peninsula on the West Coast and extends towards some offshore islands, namely Alcatraz, Treasure Island, and Yerba Buena and a section of Alameda, Red Rock and Angel Island. It is surrounded by water and has cool Mediterranean weather that brings forth chilly fogs in the summer. For about twenty-eight days in a year, temperatures can swing between extremes of 103 °F (39 °C) and 27 °F (-3 °C). For the rest of year, the city‘s weather is cool and stable. San Francisco is a powerhouse of great views and landmarks, including the suspended Golden Gate Bridge which extends towards the county of Marin, the Ferry Building, which holds great historical significance as the only way to reach the city prior to the construction of the Golden Gate Bridge and the over two centuries old Presidio, which was once a US Army fort that served three nations around the year 1776. The city is clearly a tourist hotbed and because of its reputation as a world-class destination, it continues to attract expatriates from around the world. This same worldwide charm is also responsible for the city's multiracial communities of which a great percentage is composed by Asians. It also has one of the biggest LGBTQ community in the country. Known for their carefree attitude, San Franciscans are creative and bright yet challenging. A look into the city's population reveals the same multiplicity regarding religion. About 41.83 % are considered religious by way of their affiliations with a religion although not all of them are devout. The majority is Catholic at 23.28% followed by the Jewish, Protestants and some Islam and Oriental faiths. San Francisco is considered a minority-majority city where only about 45.1% of residents are natives and Asians; the Chinese dominate the population, followed by Hispanics and African Americans. Expatriates in the city can expect this much variety in languages spoken as well, although everyone still speaks English most of the time. Officially known as both a city and a county, San Francisco is the only such consolidation in California and has been so for over a century. Its vibrant tourism sector has been its economy's driving force and the frequent subject of American music and films. As the financial, cultural and transportation hub of the larger San Francisco Bay Area, it holds a strategic position in the socio-economic culture for this part of California. Whether it's the fame and splendour of the city-county or its sheer expat-dominated population, one thing is certain. More and more people are migrating to San Francisco and even more, are finding a reason to follow suit. San Francisco is quite a popular destination for tourists, but not as much for expats, as it has one of the highest cost of living prices in the country. However, there are good career opportunities in high technology and finance. The image of the infamous Golden Gate Bridge is more than just a magnificent architecture and historical landmark; it also embodies a gateway that leads to the place where people can finally reach the much sought after ‘American Dream’. San Francisco has always been a magnet for many expats even during the California Gold Rush and managed to maintain its financial significance to this day. If you are eyeing a job in the IT and media fields, this is the best place for you to climb the corporate ladder because of gigantic companies like Pixar, Youtube and Google are situated in San Francisco. If you are decided to witness Bay City's natural eye catching beauty and be a part of its ever growing economy, here are some tips that’ll help you in your relocation. Online portals are the best place to start your preparation in finding the right accommodation in San Francisco. The weather in San Francisco can be unpredictable, so it's best to keep an umbrella ready for sudden rain showers and a light jacket or jumper in case it suddenly gets chilly as it tends to do from time to time in the city. The temperature and weather in the morning can change drastically in just a few hours. Fog comes in and out of the city as well which locals call "Karl". "Karl" is a regular in the city and comes in and out every day. Locals even created a social media account for Karl where you can see fantastic photos of Karl all over the city. When moving abroad, you should always expect that the cost of utilities (water, electricity, gas and garbage collection) is not included in your rental pay. In San Francisco, the typical monthly bill for these necessities is around €110. An unlimited internet connection will cost you around €50 while local mobile prepaid calls are charged €0.15 per minute. Finding a house/apartment in San Francisco can be tough not just because of the high prices but also due to the limited supply in the housing market. There is also a rapidly growing demand from people who are looking for accommodation all at the same time, so when you see a potential property, it's best that you talk to the landlord right away and pay the rental deposit to secure the unit for yourself. Detached homes are rare to find, but you will see apartment buildings and divided houses sprouting in different parts of San Francisco. Most expats like you choose to live in the city centre or in Bay Area, where they are conveniently close to the business hub and amenities. The price of a one bedroom apartment in these areas starts at €3000 per month and €5800 for a three bedroom unit. 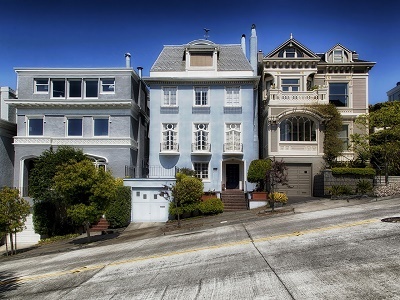 If you prefer a cheaper rent, you can consider the suburbs of Chinatown and inner Sunset District where a one bedroom flat typically costs €2400 per month, and a three bedroom unit is around €4200 monthly. Many international shipping and removal companies provide door to door service to San Francisco and for many expats, both experienced and first timers, hiring these professionals is lots of help. Their team will pick up the delivery from you and facilitate the whole shipment until you receive the packages in your new home. The average transit time to the Port of Oakland is 23 days, depending on your country of origin. Once the containers are unloaded, local customs will conduct an inspection of the cargos before clearing them for distribution. For information about the city’s import procedures, click here. Your pet can live with you in San Francisco as long as you present the original copies of its Rabies Vaccination Certificate and International Health Certificate that are both signed by an accredited veterinarian from your home country. Though there is no quarantine period, your pet still needs to undergo a physical examination from a local customs veterinarian at the port of entry to ensure that it is free from any infectious diseases. Imagining San Francisco would give you the vision of the infamous Golden Gate Bridge. 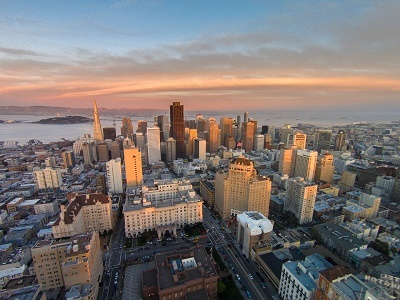 The City and County of San Francisco are Northern California’s commercial, cultural and financial centre. Expatriates would know that the Bay City has been an attraction to many tourists and expats alike for its rich tradition and culture which was influenced by its first European settlers. San Francisco is also one of the largest financial centres in the United States which make it one of the best places for expats wanting to pursue their careers in technology, tourism and finance. Aside from the other parts of the United States, California is known to have a temperate weather. Expatriates would discover that the city is also a melting pot of culture and is one of the most walkable cities in the world. Its culture and contemporary life are also rich which will ignite the artist in an expat who can alleviate the culture shock they are currently going through. Expatriates moving to the Bay City will not run out of beautiful destinations to visit starting with the cable cars that have a long history that dates back to 1873. 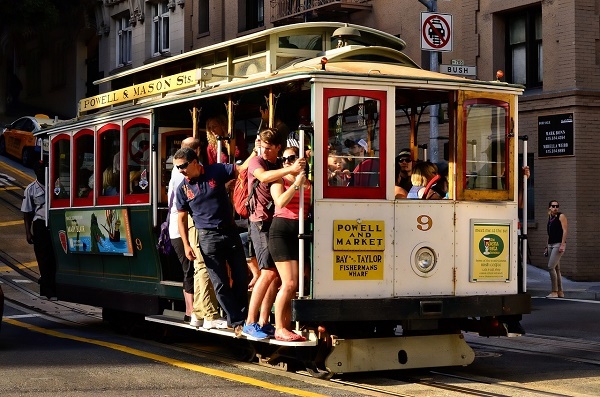 It is one of the best ways to take in the sites of the city and passes through several hot spots such as Alcatraz Island, The Bay, Nob Hill and Fisherman’s Wharf. There is the Golden Gate Bridge which is tagged as one of the Seven Engineering Wonders of the World. Those who want to go to an educational trip will also find several attractions such as the Exploratorium which is an interactive science museum and the infamous San Francisco Museum of Modern Arts. You can also visit one of the oldest foot trails in the country, built in the 18th century called the Lovers Lane in Presidio, San Francisco. This mile-long walk gives you a fantastic tour of history, art, and nature. Food lovers will find a haven in San Francisco because of its abundance of restaurants that serve sumptuous local and international cuisine. As the saying goes, one of the best ways to learn a culture is by tasting their food and expatriates can start the ‘getting to know’ stage by trying some of the excellent seafood dishes in Pier 39. This mall is the home of the famous Crab House which serves crabs on sizzling hot iron platters. They also have an array of dishes on the menu that revolves around crab, including crab enchiladas, crab pasta and crab cakes. San Francisco is home to the "Mission Style Burrito" made famous in the city's Mission district in the 1960's. What makes this burrito special is its gigantic size, as well as its extra rice and customisable ingredients inside. The La Taqueria Sushirrito is the place to be for expats who want to eat Mission-style mouth-watering burritos. For those who are craving for their daily dose of caffeine, The Buena Vista Café is a major coffee hot spot in the city. Aside from these amazing dishes, you can try another city staple, the Chowder in a Bread Bowl at Boudin Bakery.